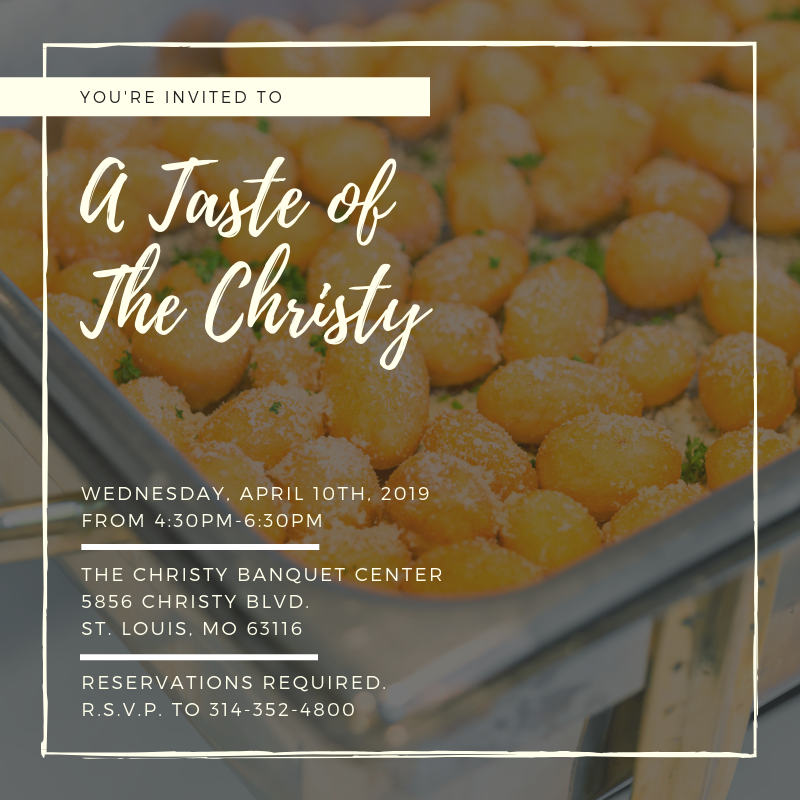 If you’re considering The Christy Banquet Center or Catering by The Christy for an upcoming event, our tasting is the perfect opportunity to view our St. Louis location, sample our most popular menu items, and discuss the details of your event with our team of Event Coordinators. 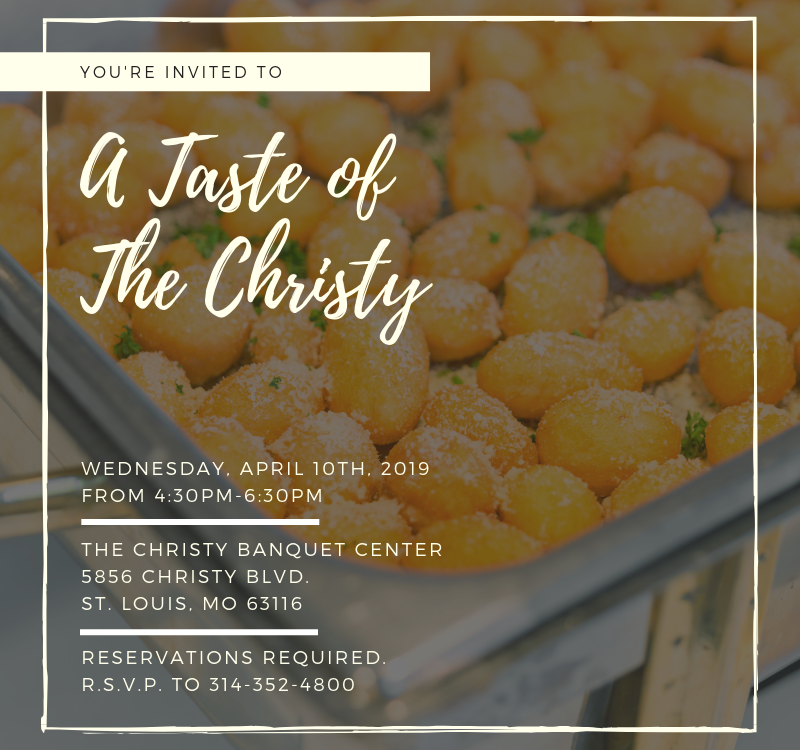 Reservation are required. 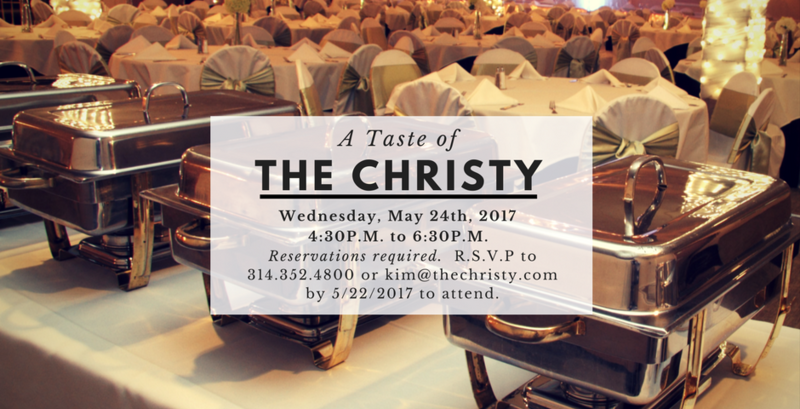 Please RSVP by calling 314-352-4800 or email Kim@TheChristy.com!